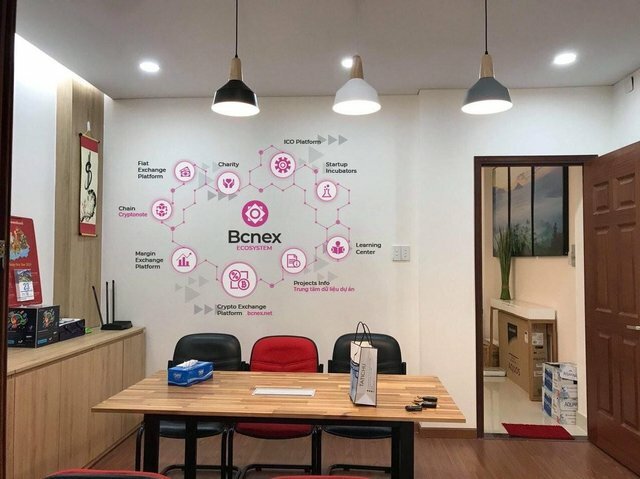 Bcnex – ECOSYSTEM – what is not found in documents, project development plans. Well, friends. Yesterday we reviewed a new generation cryptocurrency exchange from Vietnam called Bcnex. Who has not read my first work here is the link (Bcnex the is the official cryptocurrency exchange of Vietnam). The project seemed to be very interesting because most of the projects from Asia that I considered were successful. However, this is not the main reason why I decided to release a new article about this project. Studying in detail the project site and doing for it an advertising campaign on YouTube, I came across a very interesting article from the project developers. And we are talking about a full-fledged ecosystem for the cryptocurrency market of Vietnam. Let’s take a closer look at the unique ecosystem that the Bcnex project developers are offering us. This information is not present in the project documents; this is the future development plans of the Bcnex project. Which were shown in various sources, but not published in official documents? So you can be among the first to know the detailed plans for the project. Well, as we know the basis of the project is a cryptocurrency exchanger. Therefore, one of the first points I want to emphasize is the desire of the team to work with Fiat. The Fiat Exchange Platform is a really good solution for any kind of project. This attracts new traders and investors to the exchange, especially if Bcnex is the official exchanger of Vietnam cryptocurrency, then the investment through Fiat will be quite large. Judging from the article I indicated above, it follows that the project will have its own platform for advertising projects. As I understand it, then it will be possible to invest in these projects through Bcnex buying tokens there. Analytical service for investors. I think it is directed to the local market. In the global market, there are projects such as icobench, icotracker, and heaps of projects that track information about projects and provide it to inverters. I do not think that they can compete in the global market. However, the local market and the market of Indonesia, they are able to conquer. Learning Center – perhaps a programming school that will teach students how to use new blockchain technologies. And it will develop technologies in the nutria of the country. As we see the project is not so simple. Unlike most cryptocurrency exchangers, this project has a very interesting development plan for the region. It is worth noting the fact that the project itself is registered in Singapore. What opens up all world markets to Bcnex. This confirms the fact that at Bcnex you can choose a convenient interface language for you. I was pleased with the information that I could find. That the project has a serious plan to enter the Indonesian market. Although most of the projects from this ecosystem already exist. No one is interfering with the Bcnex project to create its own version, which will be convenient for residents.